Join the finest restaurants from Barrhaven and beyond for another evening of sampling and fun at the 13th annual Taste of Barrhaven. This is a culinary sampling event, where people move from station to station sampling the offerings of the participating restaurants. Nobody goes home hungry! We’re inviting 25 exhibitors to provide samples of their signature dishes and beverages. This annual event has become a Barrhaven favourite. Your ticket allows you to move freely between exhibitors, sampling their signature dishes, while providing vital support to important community resources. Taste of Barrhaven is held annually on the last Monday of May. This year we’re excited to announce a new venue in the showroom of Myers Barrhaven Toyota at 4123 Strandherd Drive. Once again we are on track to have our most successful year ever. Our list of participating restaurants is growing, so check back often. The 2019 Taste of Barrhaven will benefit the Barrhaven Seniors Council, the Ottawa Rotary Home, and other community service projects of the Rotary Club of South Nepean. The Barrhaven Senior’s Council works to support affordable senior friendly housing in Barrhaven, and is exploring options for a permanent location for a Barrhaven Senior’s Centre. Their volunteers offer a wide variety of programs; social activities, outings and special events – and provide links to other services available in the community. The Ottawa Rotary Home exists to improve the quality of life of caregivers and individuals with disabilities through a family and person-centered approach that is responsive to individual needs and offered in a dynamic and flexible way. The home, a longstanding project of the Ottawa Area Rotary Clubs, offers a variety of respite programs for different groups. 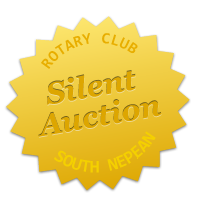 The Rotary Club of South Nepean is proud to support several youth programs in our community. From youth leadership initiatives to the international Rotary Youth Exchange programs to our Interact service clubs for teenagers, we encourage youth leadership in our communities.